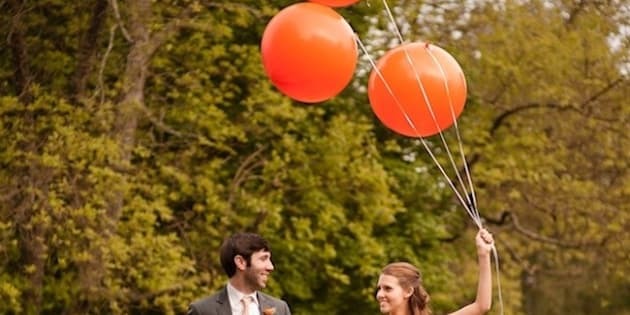 We have a major crush on this orange wedding! Held at Black Fox Farms in Chattanooga, Tennessee, this barn wedding is both elegant and playful. From giant balloons, to the handwritten message on the back of the groom's tie and DIY projects galore (most of which were done by the bride and her mom), Taylor and Tyler's wedding just oozes fun. Luckily, BerryTree Photography was on the scene to capture this wedding in all of its adorable DIY glory.